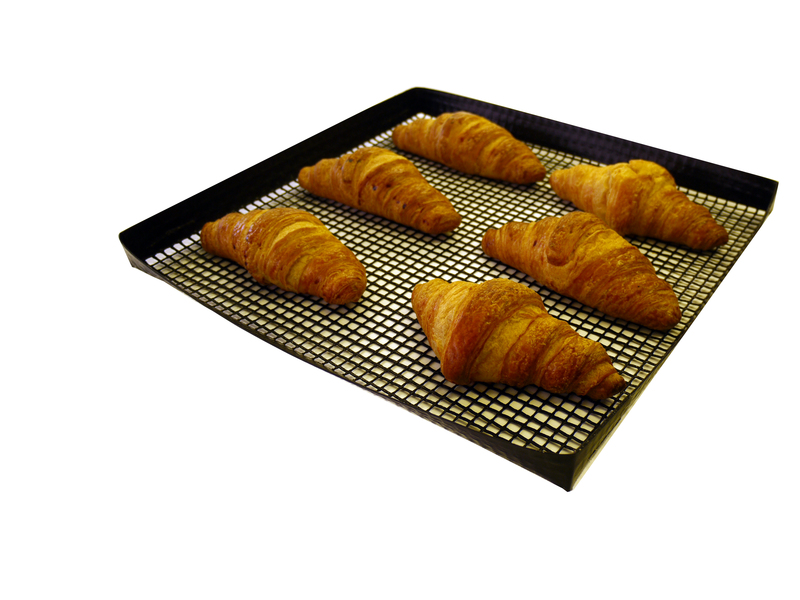 Reusable, non-stick mesh baskets for crisper pastries, biscuits and pizzas. Ideal for Bake Off Ovens - cooking morning goods, pastries, jacket potatoes, filled baguettes, panini’s, etc. Ideal for Bake Off Ovens - cooking morning goods, pastries, jacket potatoes, filled baguettes, panini’s, etc. Dissipates heat rapidly to avoid burning giving a crispier finish with no "soggy" bottom. Easy to clean, working temperature -40°C to 260°C allows even heat distribution. Available in standard sizes or to your own specification (minimum quantities apply).